Acaciaware® by Pacific Merchants Trading Company is the original eco-friendly acacia hardwood that is responsibly forested with care. Responsibly forested means that wood harvested from healthy forests is done so in an environmentally friendly and sustainable manner. What is Acacia? 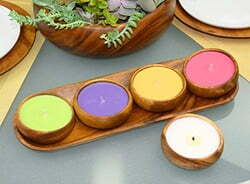 Acacia wood is naturally resinous so it resists penetration by liquids. 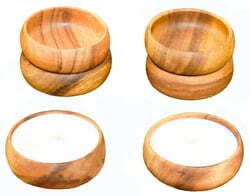 The hard wood will not stain or pick up odors. 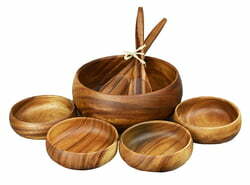 All of Pacific Merchants acacia wooden salad bowls and serving sets are hand turned and our other acacia wood items like our acacia wood plates and dishes or other acacia wood specialty items like pineapple shaped trays and baguette serving trays are hand carved, giving each piece a unique grain and beautiful look. Acaciaware® is easy care! 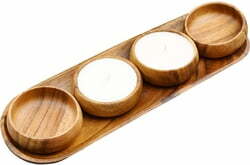 Just hand wash with warm soapy water and air dry. Not microwave-safe! 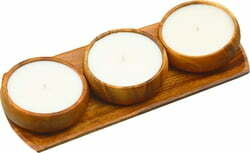 Pacific Merchants is eco-friendly! 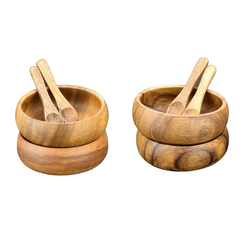 Not only is the wood for our acacia wooden bowls, wood plates and serveware a quick-growing wood that is responsibly forested, but we pack our products using green packing material. We use clean, recycled shredded cardboard packing material that lowers our carbon footprint and reduces the earth's landfill. 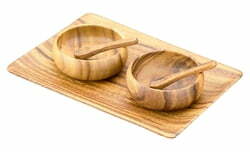 Best-selling acacia wood products include Acacia wood salad bowls, Acaciaware® acacia hardwood wooden plates, and the acacia wooden plates and bowls. 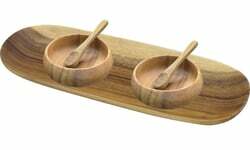 For Pacific Merchants wholesale prices on Acaciaware®, acacia wooden serving trays, wooden bowl sets, or acacia wood square plates, contact us at our email address to open a re-sale account: [email protected]. 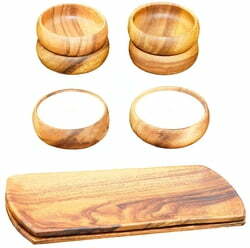 We would be happy to open an account so you receive acacia wood wholesale pricing.